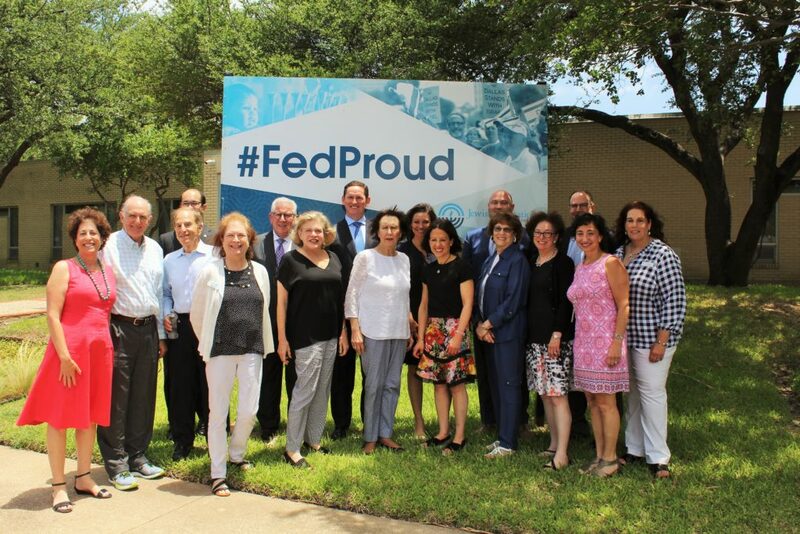 Dallas County Judge Clay Jenkins stands with members of the Jewish community and the Jewish Community Relations Council of the Jewish Federation of Greater Dallas. Dallas County Judge Clay Jenkins updated a group of Jewish community leaders about family separations at the U.S.-Mexico border, early childhood education, health care and fighting poverty during a June 26 meeting. The Jewish Community Relations Council (JCRC) of the Jewish Federation of Greater Dallas was host to the event. “As Jews and as people of moral conscience, we understand the importance of treating all people with dignity and compassion. We are well aware of the humanitarian concerns along our borders and applaud Judge Jenkins’ efforts to meet the needs of children and keep families together,” JCRC Chair Melanie Rubin said to open the meeting. Rubin acknowledged Jenkins’ efforts in promoting quality early learning for all children. Leadership from various Jewish organizations were present at the briefing, including the Federation, National Council of Jewish Women, Temple Emanu-El, Temple Shalom, Congregation Anshai Torah and others. Since taking office in 2011, Jenkins has led the responses to public health emergencies, has made efforts to increase health coverage in Dallas County, and serves on many multi-agency boards and commissions, including Workforce Solutions Greater Dallas and the Dallas Regional Chamber of Commerce. Jenkins spoke about various initiatives in the county, including Dallas County Promise, a transformational effort between school districts, colleges, universities, workforce and communities to increase college completion. The campaign guarantees tuition-free college to graduates of Dallas County high schools who apply for federal financial aid, regardless of income or GPA. The campaign is part of a national, nonpartisan initiative to build broad public support for funding the first two years of higher education for hard-working students, starting in America’s community colleges.